Fior Daycare we have designed an Infant Program where we can foster a young infant’s daily growth and development – both physically and mentally. 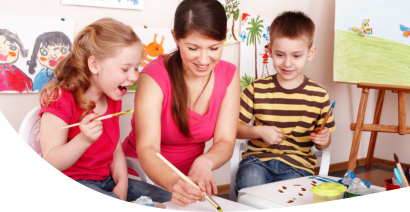 More than just providing simple daycare services, we have also designed simple and interactive activities that can keep them active throughout the day. We provide age-appropriate toys, allow them to explore their surroundings, play with other children, and other activities designed to promote cognitive development, executive function, and creative expression. Do you have questions about our Infant Program? Call us at 917-667-5684 or Set An Appointment to speak with one of our staff members. If you want to enroll your child now, please use our online Enrollment form.